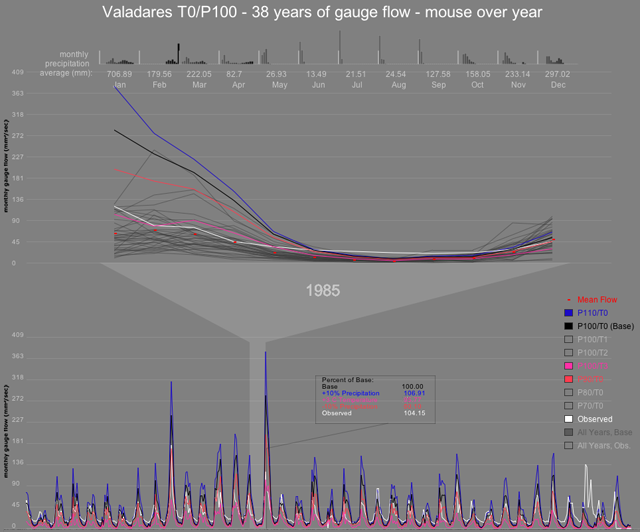 Channel flows is an interactive visualization approach developed to help the World Bank and government of the Espirito Santo State in Brazil evaluate climate and policy change forecasts upon the flow of rivers within the state. For example, I provide a tentative climate scenario analysis on past basin forcing attributes to verify and test the approach to be taken going forward. There are features left to be added and I will provide updates as I incorporate them. 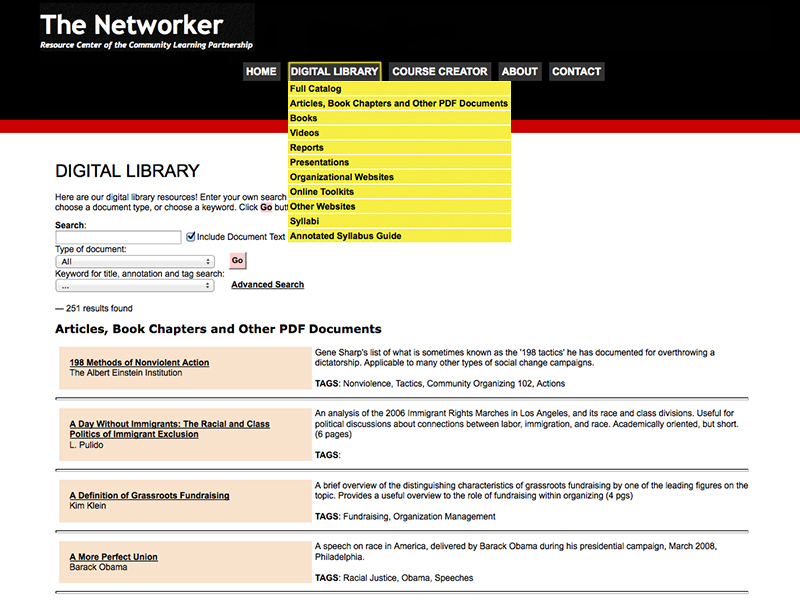 The Networker is an interactive content management system developed to coordinate educators who teach community change studies. The digital library presents hundreds of vetted community change documents for use by community change learners who join the Community Learning Partnership. The shared syllabi repository helps community change educators crowd-source class materials and teaching methods. Integrated facilities to provide synchronous communications between Networker users have since been disabled due to limited use. RimSim was a game platform developed during my doctoral work to explore working collaboratively over the Internet with content that provides insight into performing first responder activities. The hospital evacuation scenario became the focus upon finding trained emergency responders with whom to develop the game. Performing coordinated logistical tasks under time pressure with limited communications bandwidth simulated the realities of many emergency response activities. I am porting the code now and will continue to post progress as I do. 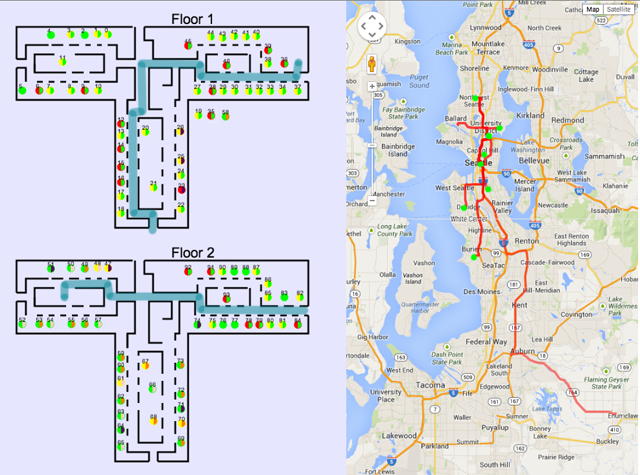 There are a lot of features left to be added and I will provide instructions when I finish. Dazzle is a game I programmed for an artist who wanted to share a board game as an electronic game. We chose an iOS version for iPad and iPhone because the Apple Store showed promise in protecting the artist's intellectual property. The game is available in the Apple Store using this link. 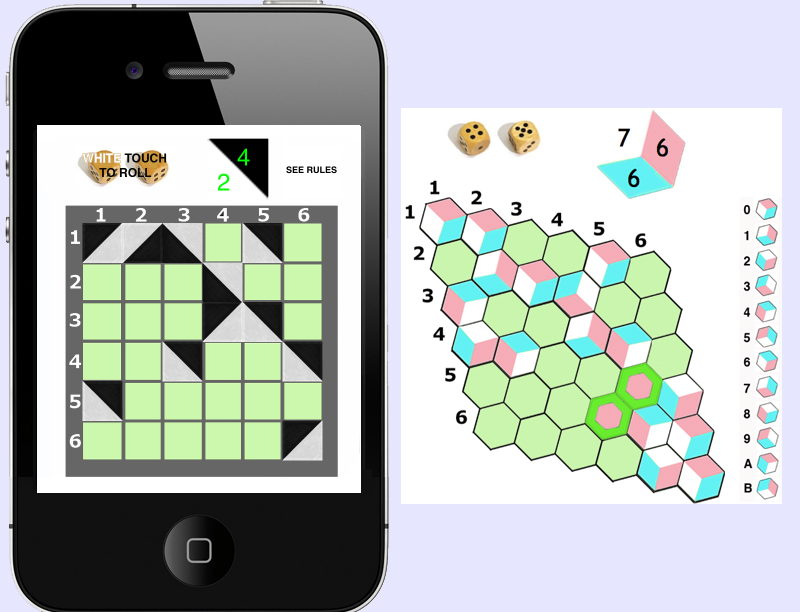 Hexazzle is an intuitive three-player extension of the Dazzle game in development. 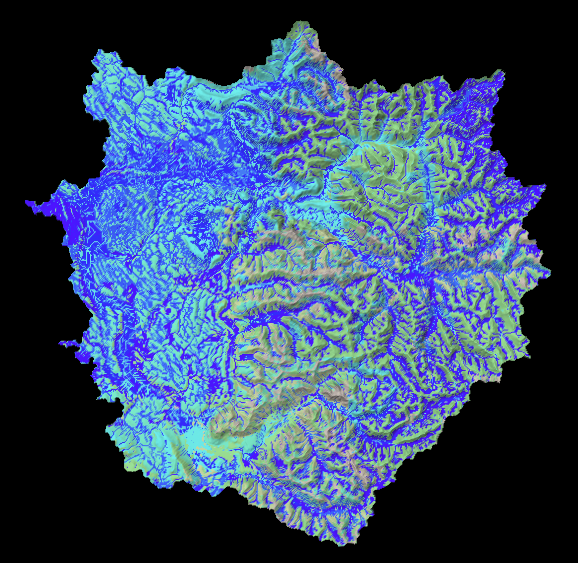 The Virtual Scalable Basin is a simulator wrapper for running DHSVM hydrology model runs. The wrapper helps an investigator set up a model run and investigate timestep outputs as video (as seen here) or 3-D content. The video above shows change in projected water table depth as soil was to become saturated during a 36-hour spring storm that brought much rain and snow water melt to the watershed presented. If your browser isn't providing you video here, check out an image from the video. The Nepal Economic Corridor mapping visualization is the by-product of work by non-profit organizations and in-country student investigators helping the Nepalese government build awareness for potential exports. I was responsible for providing an on-line interface with which the world could explore Nepalese production by product and district — through an interactive map using open source mapping tools. A basic version is available here. This Photographic Content Management System was created for a client that used it to promote products available for sale. I am converting a copy of it for my own use as a photograph management and presentation system. BCFlora was a simulator for plant structure created from a virtual plant genome. Embedding the simulator into a Magic Book augmented reality environment made for a more dramatic presentation in a Boston arts festival. The Virtual Playground allowed people to experience 3-D cyberspace for the first time thanks to a reasonably priced graphics card that could be installed into home computers through an expansion slot. If you have a WebGL capable browser and graphics card, check out a model from the scavenger hunt edition of the Virtual Playground (play with your scroll wheel and mouse buttons). Slant was a game I developed during my masters work to explore working collaboratively over the Internet with 3-D content. Performing coordinated logistical tasks under time pressure with limited communications bandwidth simulated the realities of many emergency response activities. I am porting the game now and will continue to post progress as I do. There are a lot of features left to be added and I will provide the rules when I finish.